The 2019 Jeep Grand Cherokee offers a unique option for Green Bay drivers looking for a family vehicle that can also muster exciting 4×4 capabilities. Explore the Grand Cherokee dimensions, cargo space, technology, and comfort features today at Vande Hey Brantmeier. No matter which configuration you choose, you will find plenty of standard features to keep you satisfied. All of the configurations of the Grand Cherokee maximize cargo space with 60/40-split rear folding seating with an available fold-flat front passenger seat as well. Standard Integrated Voice Command with Bluetooth®: Stream music, place and receive calls, and more hands-free from your compatible device. Standard Apple CarPlay® / Android Auto™: Access contacts, apps, stream entertainment, and connect to Google or Siri® with your Apple or Android phone. SiriusXM® Satellite Radio, Traffic Plus, and Guardian: Find the SiriusXM® suite of services standard and deliver programming, full-feature Navigation, and up to the minute traffic updates on certain Grand Cherokee configurations. Available Rear Seat Dual Screen Blu-Ray / DVD Player: Enjoy a quiet ride and keep the kids entertained and they stream movies, music, and video games through wireless headphones. For an even more interactive experience upgrade to the 8.4-inch Uconnect® system. Tour the 2019 Jeep Grand Cherokee cabin today at Vande Hey Brantmeier. The experts at our finance center can help you find the loan option that best meets your need. You can start the process by scheduling a test drive today! The 2019 Jeep Grand Cherokee offers a unique option for Green Bay drivers looking for a family vehicle that can also muster exciting 4×4 capabilities. 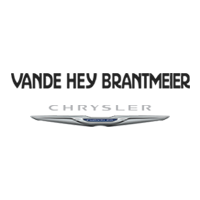 Explore the Grand Cherokee dimensions, cargo space, technology, and comfort features today at Vande Hey Brantmeier. No matter which configuration you choose, you will find plenty of standard features to keep you satisfied….